I was asked on Twitter the other day how come it's not possible to comment on my blog posts. 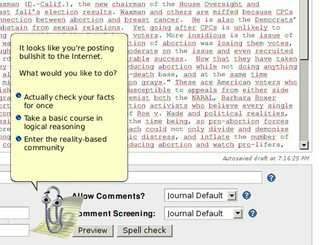 Here's a list of possible reasons, maybe it will make you rethink how useful comments are. This is the easiest-to-understand reason. 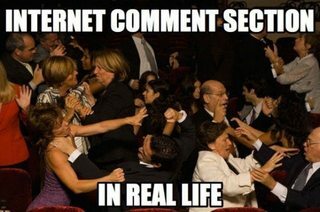 If people write nonsense, or attack each other, or write spam… those comments need to be cleaned. That's more work for me, and the magnitude scales at least linearly with the number of posts on the blog. No thanks—I got better things to do with my time! It's easy to read a blog post and write a two-line instinctive reaction because one hates it loves it. While my ego would enjoy the support people are so eager to give, that's now why this blog exists. This blog exists to communicate my thoughts (right or wrong) and for people to read them. If people want to send me love letters, there's a contact form. Is there a spelling mistake? Please tell me, but there's no need for everyone else to know. 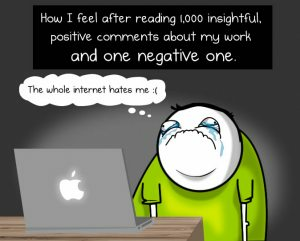 It normally takes me at least two hours to write something—this is for the easy posts like the one you are reading, while others take days or weeks of work—yet a comment is a text box filled by anonymous readers in ten minutes. A comment is visible to the same audience as the post so it should be of the same quality as the post, and should require the same amount of effort to write. A blog post is also meant to be reference material for future visitors, to have lasting value. I can't expect everyone to commit the same effort as me. If you are going to answer with depth and insight, then you are better off writing a separate blog post, instead of concentrating everything in a five lines comment. A blog post is a one-to-many communication. I write stuff, for good or for bad, to inspire people and share my insights. 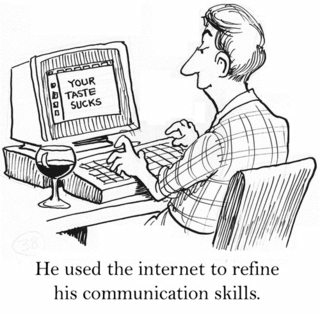 Comments are many-to-many communication. They allow no conclusions to emerge, and unless they are very carefully moderated (or self-moderated) they become a form of ochlocracy. But this site is not an ochlocracy, nor a democracy. It's a personal web site. I'm not Jeff Atwood. There is no line of people waiting to comment here, just some sporadic requests. I often suggest to people to go comment on hacker news because I usually already submit there: concentrating attention on a single forum is usually best for comment-like group conversations to happen.